Celebrating the Fourth of July near Vancouver provides you with plenty of fun activities, whether you’re looking for something to do with the family or if you prefer an adults-only holiday. Below is your guide to the 4th of July festivities in Vancouver, WA and surrounding areas. Fort Vancouver delivers all the fun you could want, and residents from Wilsonville and Sherwood come in because of the event’s reputation. Head to the Pearson Airfield and see the free show starting around 10:05 PM on July 4th. Before the show, feel free to check out the historic area, and don’t forget to bring your blanket, snacks, and bug spray for the main event! 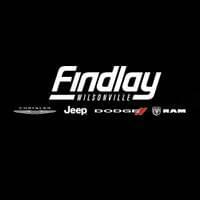 If your Fourth of July plans require additional speed or storage, head to Wilsonville Jeep Ram to see our inventory of new models. And thanks to holiday specials, you can get a great deal. Apply online today or contact us to find out more about our leasing and buying options.